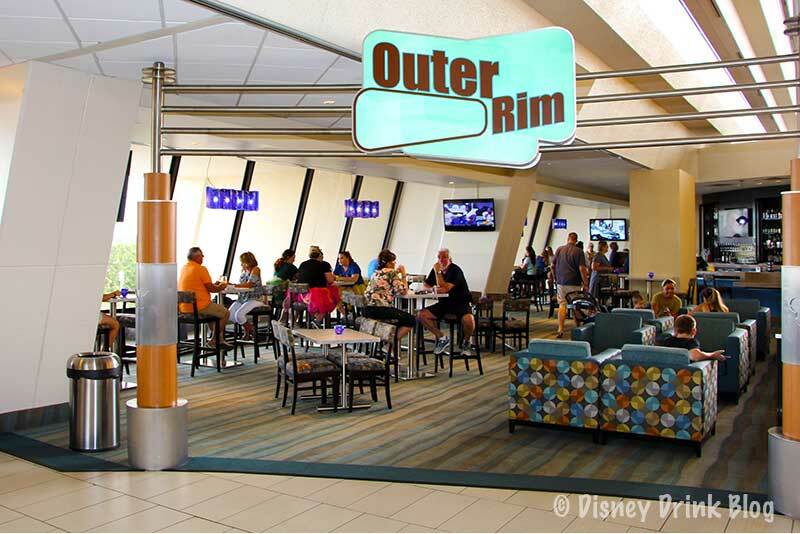 Cruise by the Outer Rim Bar at Disney’s Contemporary Resort. 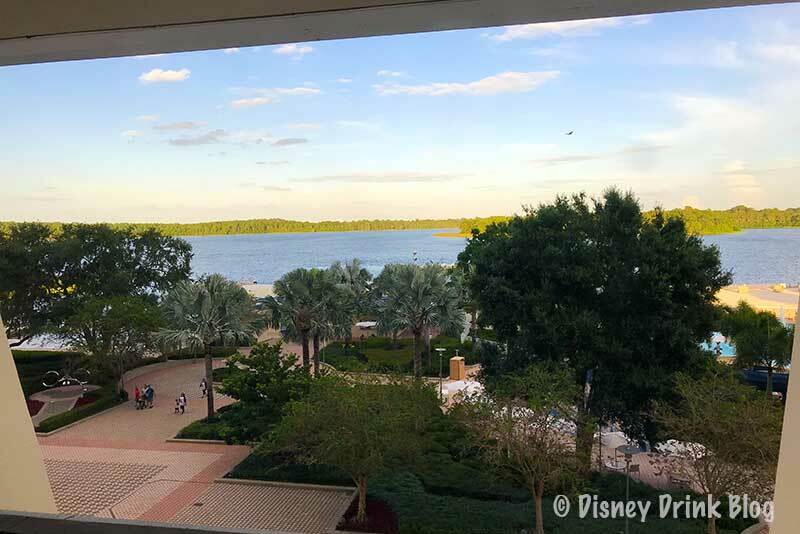 The Outer Rim is conveniently located on the fourth floor of Disney’s Contemporary Resort. The fourth floor is one of the Contemporary’s hubs of activity, with several restaurants, shopping locations, entrance to the monorail station, and the Outer Rim. 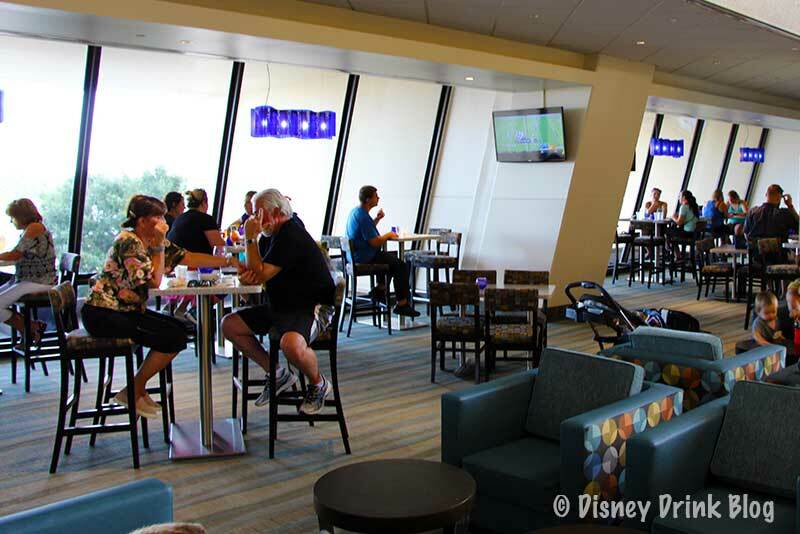 The Outer Rim is a spot to have a drink in the afternoon or evening at the Contemporary. But the fourth floor forms the bottom of the open atrium structure of this “A” frame building so the whole area is echoey. The sound seems to be reduced back against the back wall where the bar sits, but there is no real separating between the bar seating area and the traffic to Chef Mickeys and Contempo Cafe. Of the three lounges in the Contemporary, this comes in at Number 3. 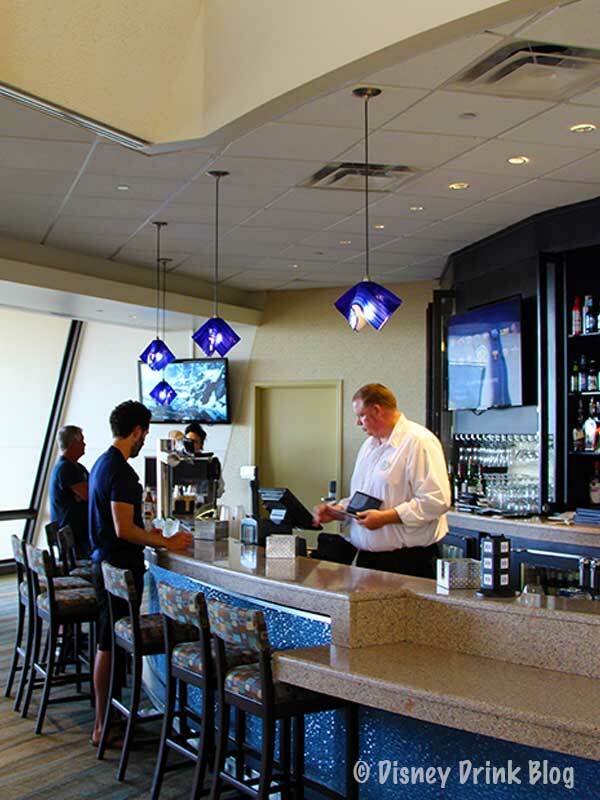 One plus, the entire back wall of the bar is formed by windows overlooking Bay Lake and the Resort’s pool area. 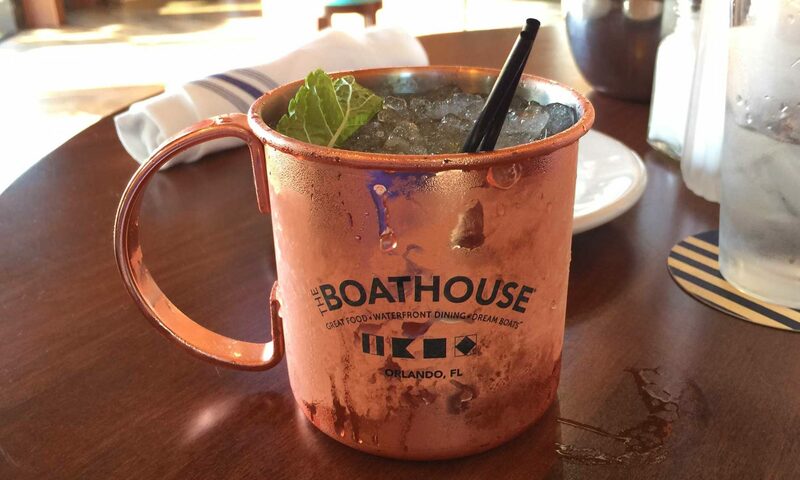 The Outer Rim offers Disney World’s Generic Drink Menu, or mixed drinks of your choice. We have enjoyed stops at the Outer Rim many times over the years. Post Magic Kingdom fireworks you can catch the Electrical Water Pageant on Bay Lake out of the back windows. 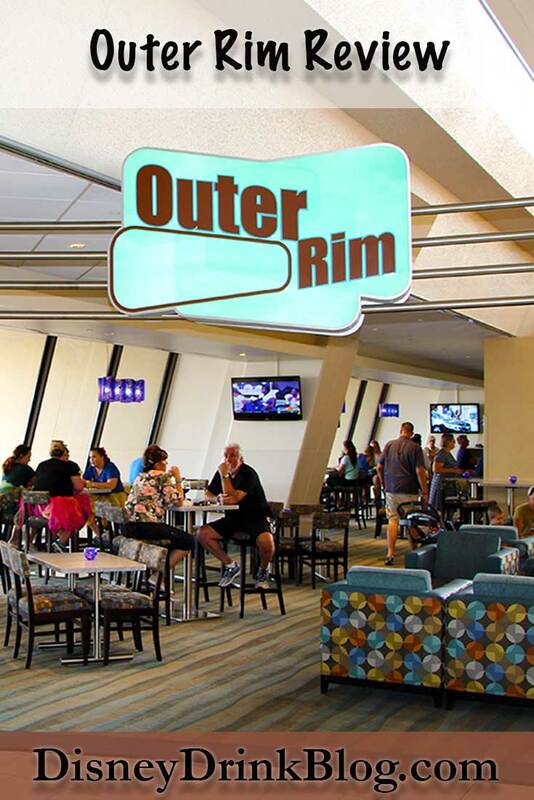 Open 11:30 am to 10 p.m.
Have you tried the Outer Rim? Share your review or leave a comment in the comments section below!